Cool Water perfume invigorates your senses and feels like a cool splash of water. This Davidoff perfume has a base of sandalwood, patchouli, and vibrant woods.Experience the exhilarating thrill of adrenaline by wearing the Cool Water perfume by Davidoff for Men. The immersive scent will embrace you in its cool-breezy whiff that takes your olfactory senses straight to the crashing swells of the ocean. Feel the ecstasy of catching that perfect wave on your surfboard with this enticing fragrance. The perfume is designed by the celebrated Swiss luxury goods brand Davidoff. It is contained in an attractive 125ml flacon that captures the spirit of ocean perfectly. The main accords of this perfume are aromatic, fresh spicy, marine, green, and woody. This Davidoff perfume opens on the crisp, invigorating freshness of an aquatic splash and feels like a pure wave of adrenaline. A while later it combines the bloom of grapefruit and the burst of spiciness brought about by Sichuan pepper. The heart of this Cool Water perfume is formed of aromatic juniper berries and birch leaf, along with the refreshing orange flower. The scent erupting from this blend makes you rejuvenated and offers a boosting feeling. 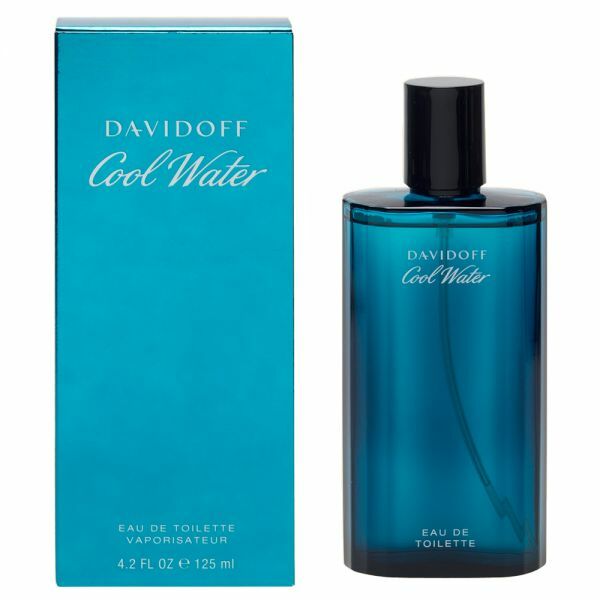 The Davidoff cool water has a base of vibrant woods that has notes of sandalwood and seductive patchouli in it. The milky, soft, rich satisfying scent lingers on you for a long while and has a good sillage. 91.3% of users recommend this product to a friend.